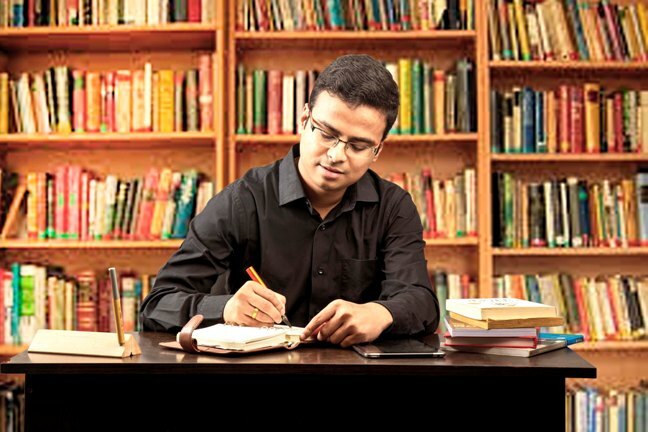 How One Man Followed His Passion And Published His Poems In Hindi - Tarun Varshney - Author. Blogger. Life Enthusiast. 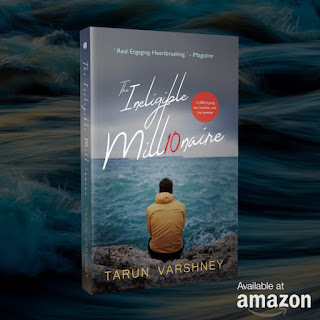 Tarun Varshney - Author. Blogger. Life Enthusiast. 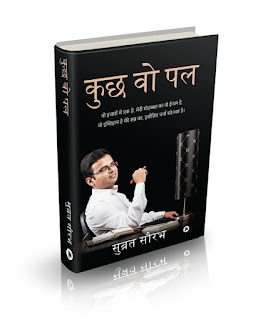 It’s time to welcome Subrat Saurabh - author of 'Kuch Woh Pal' on the blog. Subrat Saurabh – a writer, poet, and blogger – is popularly known by his pen name 'ChickenBiryanii' on social media sites. He is proficient in writing witty one-liners, a skill he employs liberally on Twitter and Facebook using his pen name; thereby making his opinion heard on wide range of issues. TARUN: It's a pleasure to have you on this platform. Tell us something about your background. SUBRAT: Thanks Tarun for giving me this opportunity. I’m Subrat Saurabh from a small town “Muzaffarpur” of Bihar. I have studied Engineering and working as a Senior Consultant in a reputed software firm in Bangalore. TARUN: How did you become an author? Any source of inspiration? SUBRAT: My family and close friends have encouraged me to convert my collection of poetries in a book. I am a keen observer of different moods of people around me and get inspired to pen them down. TARUN: How did you react when you saw the first copy of your debut novel? TARUN: Tell us something about 'Kuch Woh Pal'. SUBRAT: Kuch Woh Pal is a collection of Hindi poems through which I will take you on a journey of a young boy taking on the struggle of life where he is away from his home and going through a tumult of emotions like anger, depression, apathy, romance, frustration etc. TARUN: What was the inspiration behind the plot of the story? SUBRAT: I have not taken inspiration from one person. As I mentioned before, I observe people around me. There is some plot in my book which is inspired from my own life. However, there are many which are inspired from my family, friends, strangers, acquaintance etc. TARUN: What sort of reviews are you getting for the novel? SUBRAT: So far, it’s great. I am getting appreciation as well as criticism from my readers. Well, it’s expected and inspire me. TARUN: Share publishing story of the novel with us. SUBRAT: Being a first-time author, it is difficult to find a publisher for your debut book. I normally share my write-up on my social media accounts. It helped me to get noticed by few publishers. Thanks to my social media accounts and my pen name @ChickenBiryanii that I got a chance to get in touch with few publishers and then I decided to get it published. TARUN: What was/is your marketing strategy for the novel? SUBRAT: I am a common man and can’t afford an expensive PR team for promotion. I think mouth to mouth promotion is very important. So, I have decided to personally reach out to the people in my contacts. Social Media is quite powerful and helpful these days. I am getting good support from my family & friends on Twitter and Facebook. If anybody is interested to take a signed copy of Kuch Woh Pal I am offering a facility to them by sending a copy of it at my shipment cost. TARUN: In general, how long does it take you to write a book? TARUN: How does editing process work? What is the importance of editors? SUBRAT: I think once you have an idea, you should finish your write up and later go for editing. Editing is most crucial factor for a promising sale. Mistakes in your book will surely kill your credibility. An Author invests lots of time, money and emotions while writing a manuscript and If you are not able to sale your copy, you get frustrated. Good editing is not a cost, it’s an investment. TARUN: Tell us the importance of literary agent? Did you work with any? SUBRAT: No, I don’t have any experience of it. Yes, it will help if your agent has good contacts. TARUN: What's your point-of-view about self-publishing and traditional publishing? SUBRAT: I would suggest self-publishing for all first-time aspiring authors. It will help you not to spend much time on chasing publishers as well as you will have enough time to finish and edit your manuscript. TARUN: Are you working on any other book(s)? If so, tell us what we can expect to see from you in the future? SUBRAT: Yes, I have 2 ideas. I am currently working on one of them. It’s based on short stories. Hopefully, you will be able to find my next book by mid-2018. TARUN: Do you follow structures and writing rules? Any specific environment, time you prefer to sit down and write in? SUBRAT: I prefer to write in night or whenever I am travelling. Don’t be surprise, If you find me writing in train, flight, or even at bus stop. No, I don’t believe in structure writing. I write the stuff and later structure it during editing. TARUN: Which authors inspire you most? What do you like about their work? SUBRAT: I love to read Gulzar Sahab. His poetry touches your soul and shake the heart and they are realistic. I also love to read Sidney Sheldon Series. TARUN: What other things you like to do when you’re not writing? SUBRAT: I have a job which is my primary source of income 😊 and I love to visit unfamiliar places and do adventures sports like Sky Diving, Scooba Diving, Under Sea Walk, Sky Walk, Skiing etc. TARUN: Have you done any course for writing? SUBRAT: No, it all started as a hobby. TARUN: How does it look like an average day for Subrat Saurabh? SUBRAT: Being a working engineer, I have an 8 am to 6 pm Job. Later, I love to spend time with my family especially with my newly born daughter. I spend some time on Social Media accounts and love to write before I go to bed. TARUN: What advice you want to give to aspiring authors? SUBRAT: I would suggest them to read a lot before they write and don’t be in a rush to get it publish. If Possible, go for Self-Publishing. TARUN: Tell readers about your socials to connect. If you have any blog/website, please tell. Get instant access to Chapter 1 of 'The Ineligible Millionaire', my 50+ 5-star rated book and join over 1,000 members! I send one article per week (max), share helpful stuff from my experiences. No spam ever!